Check out the Winter Trail Report before you head out to enjoy fat biking in the Gunnison Valley! Be sure to brush up on your Fat Bike Etiquette so you can make and keep friends in the winter backcountry. 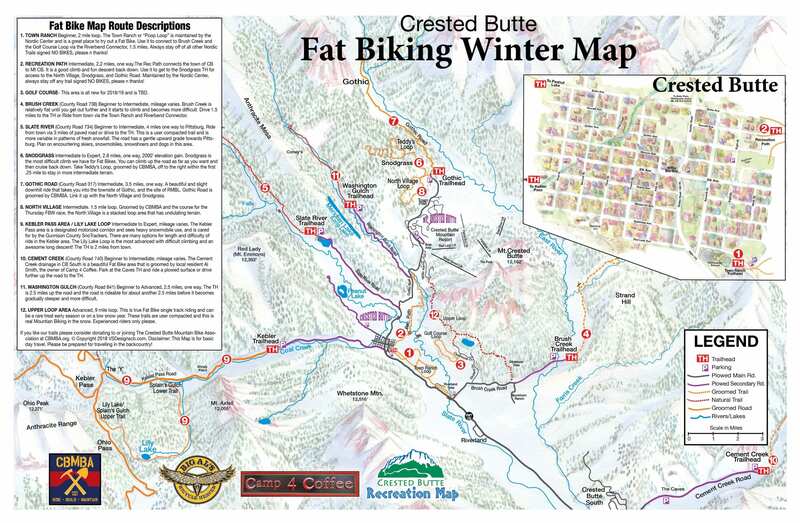 Thank you Big Al’s for putting together this awesome map of Crested Butte’s Fat Biking Trails! If you want a paper copy, head over to Big Al’s to pick one up. 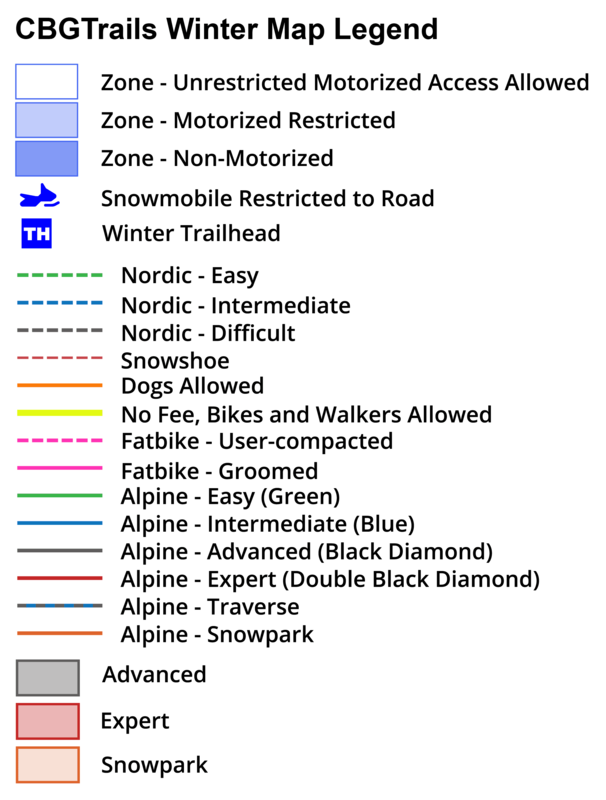 CBGTrails has produced an Interactive Winter Trails Map. Get the app on your phone!